Egypt’s Al-Azhar Mosque, the highest seat of jurisprudence and learning in Sunni Islam, called on the Boko Haram Islamist separatist group in Nigeria to release all female schoolgirls taken captive last month. 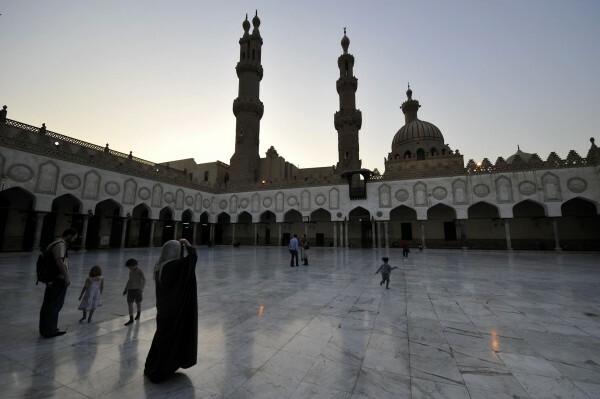 In a statement on Tuesday, the Al-Azhar Mosque said that the kidnapping of the girls on April 14 “does not relate to the noble teachings of Islam in any way. Al-Azhar demands the release of these girls immediately”. Last month, some 200 girls were abducted from their school in the northern Nigerian state of Borno where a war has raged between Boko Haram fighters and the national army. Borno is one of three states – Yobe and Adamawa are the others – in the northeast where Boko Haram have been increasingly active in recent months. The uptick in Boko Haram attacks in the northeastern states appears to come in response to a Nigerian military operation, which began last summer, to uproot the hard-line Islamist group, and a declaration of a state of emergency by President Goodluck Jonathan. On Monday, Boko Haram leader Abubakar Shekau, claimed responsibility for kidnapping the schoolgirls and said they would be sold as slaves. Several international groups including the UN and UNICEF have condemned the kidnapping.